There are several standards of compliance which govern electrical installation and inspection in hazardous areas to keep you safe - with Derby Firelec, you'll be in safe hands. The IEC and the CENELEC are the International and European committees which set the standards for the designation of a hazardous area, as well as it's use of electrical equipment. Inspections and maintenance of electrical installations in such areas are covered by the British Standard BS EN 60079 Part 17. This involves setting up an inspection regime, keeping an account of every ignition source and setting up inspection protocols. The inspection process is highly detailed and each aspect is equally important to ensure the safety of occupants in the hazardous location. Our aim, at Derby Firelec, is to help clients attain full compliance, of which the inspection process is just a part. There are four inspection types detailed by BS EN 60079 Part 17: initial, periodic, sample, special. The inspection grades are of three types: visual, close, detailed. There are a host of things that can go wrong if your electrical equipment is not installed properly. The need for inspection and proper installations in hazardous areas is important not only due to the high risk of damage to expensive equipment but also loss of life in major situations. Poorly maintained electrical equipment could become a source of ignition for a fire - leakage of hydrocarbons and flammable materials such as hydrogen from UPS batteries poses a threat of explosion. 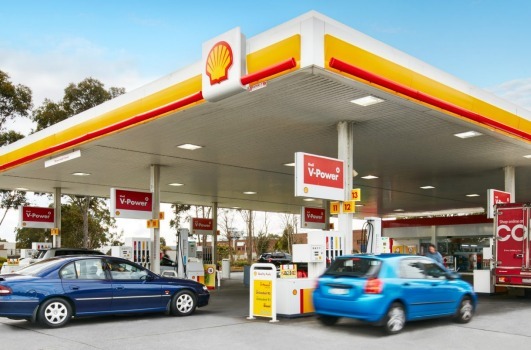 We also offer installation of LED canopy lights for petrol station canopies, if required, that serve as direct replacements to any fluorescent fittings you may already have, potentially saving you a huge amount on energy bills and requiring zero maintenance. Click here to find out more. When making a decision on something as vital as the safety of a hazardous area, more than anything else you need to be able to TRUST the service provider. At Derby Firelec, high quality products and exemplary service standards, have earned us a wide base of loyal customers from around the UK, that seek our advice to better their safety standards because they trust us. You can too. We have worked with a wide range of clients in various hazardous area situations. Our crew comprises of CompEx trained and certified inspection engineers, technicians and electricians who are highly experienced in hazardous area compliance. Our services extend across varied industries such as Chemical, Petro-chemical, Pharmaceutical, Gas, Offshore, steel, Oil as well as Heavy Engineering Industries. Don’t compromise when it comes to electrical safety. Get an inspection of your premises as soon as you can to ensure it's fully compliant. Give us a call on 01204 395525/26 today for any enquiries, or get in touch with us by filling out the contact form.